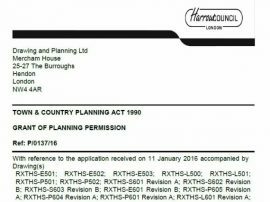 Achieve First Time Planning Permission Application Success With Harrow Council! 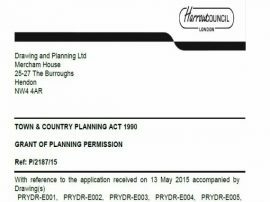 The Drawing and Planning team of Architects, Structural Engineers, Town Planners and Consultants are here to make the planning process straightforward and stress free, helping you successfully achieve planning application first time with Harrow Council! 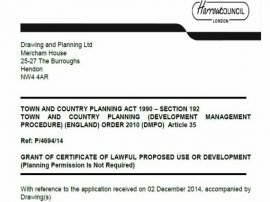 We take pride in our Success Rate with Planning Permission Applications in Harrow Council! 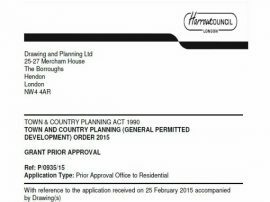 Our experienced consultants remain in contact with the Planning Department at Harrow Council at every stage of your planning application. 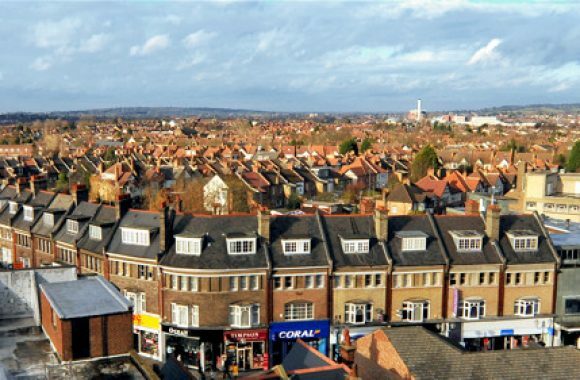 Whether you are applying for a Rear Extension, Side Extension, kitchen extension or conversion, Loft Conversion, Loft Extension, domestic usage, Change Of Usage to residential dwelling, new build development of flats in Harrow Council, We can help you gain planning permission by giving you the Advice, Support and Documentation you need at each step of the way. Our unique and successful approach of offering an all-in-one planning packages allows you to make significant savings over traditional architect’s fees! 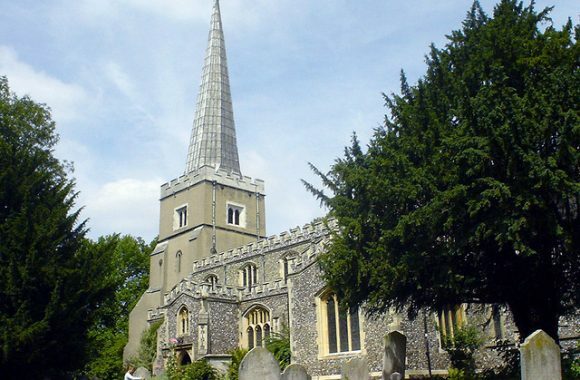 With an in-house team of Architects, Structural Engineers, Town Planners and Consultants working together through every aspect of your application, we are best placed to handle your application and help you get Planning Permission with Harrow Council! 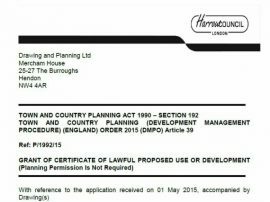 Our consultants are qualified Town Planners with expert, up to date knowledge of the latest Planning Legislation applicable in Harrow Council. They work alongside our architectural design team at all times to ensure that the planning drawings are not only accurate and to scale but also in line with the complex Planning Regulation demands of Harrow Council. Last year, we successfully submitted 500+ planning applications across London. 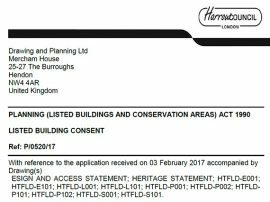 We know what it takes to successfully attain Planning Permission first time with Harrow Council. 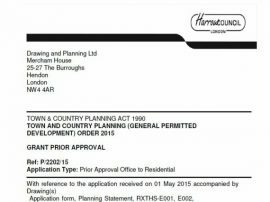 We will be in constant contact with them at every stage of your project to ensure that your application is in line with the regulations, helping you gain planning permission with Harrow Council! Scaled Architectural Drawings are just one aspect of a successful planning application. Drawing and Planning do not simply create Planning Drawings. 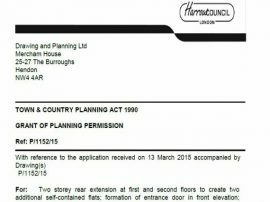 Our consultants are well acquainted with the current Planning legislation in Harrow Council and work closely with our architects to ensure the drawings are in line with current regulations. 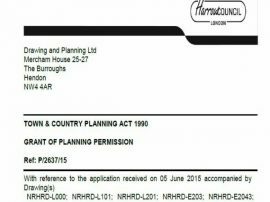 If you are a business in Harrow wanting to expand your premises, you will need to look into a planning application Harrow. 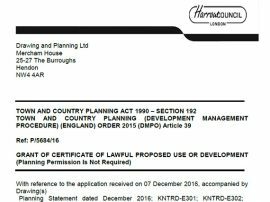 Any planning application Harrow council makes you do will be similar to that of other cities, simply because the law is the same throughout the UK. Unfortunately this does not make it any easier – a lot of applications when it comes to the government can be overly complex if you do not have a lot of experience in the area. And although you may be an incredibly successful business, if you do not specialise in planning consultancy Harrow as we do, then it is likely that you will be at a loss when it comes to filling out your application. So consider giving us a call – we are entirely dedicated as a planning consultancy Harrow, and will take on your project with as much passion as you will have towards it. We care about making your application a success, and so will do everything within our power to ensure that the formalities are done correctly, all the drawings are perfect and that every other aspect is entirely up to standard, so that you can have a successful application sooner rather than later.